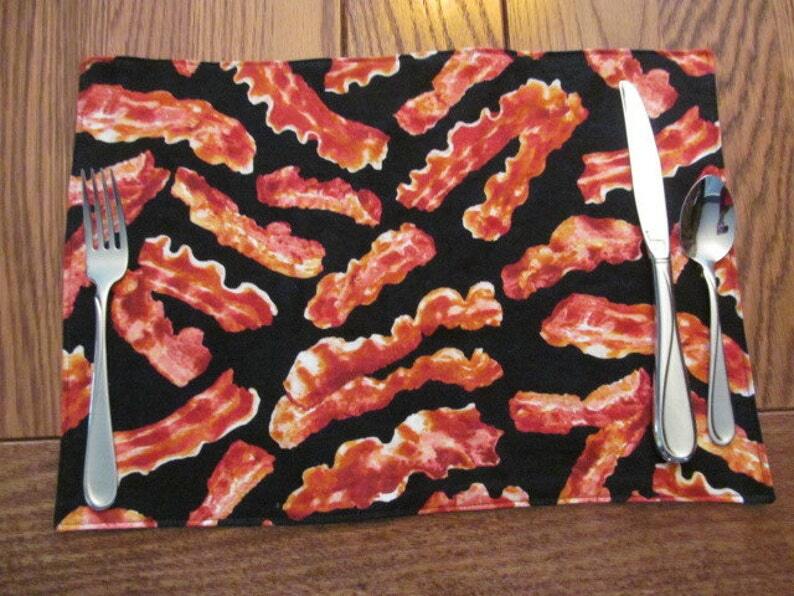 Price includes 4 reversible Bacon themed placemats. Who doesn't Love Bacon? Shipping is via USPS Priority Mail. These are ready to ship. If you live in the Loudoun Country area, contact us about delivery or pick up.